With crime on the rise, how do you secure your home against theft? Every year about 3 million US homes get broken into, but there are some things you can do proactively to keep the boogie man from picking your house as his next target. There is no price tag to feeling safe and secure in your home. Not only do you want to keep your most prized possessions safe, securing your family is the most important consideration. You want to sleep soundly at night and go on vacation without worrying about your home. 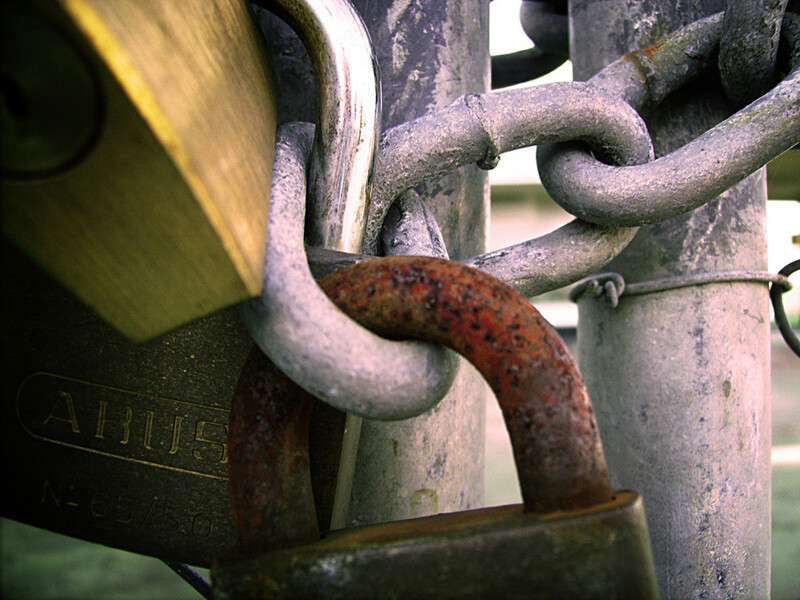 This article addresses proactive measures for securing your home against theft. It will not address home invasions where people are targeted, or robberies are planned with intended use of force against persons. 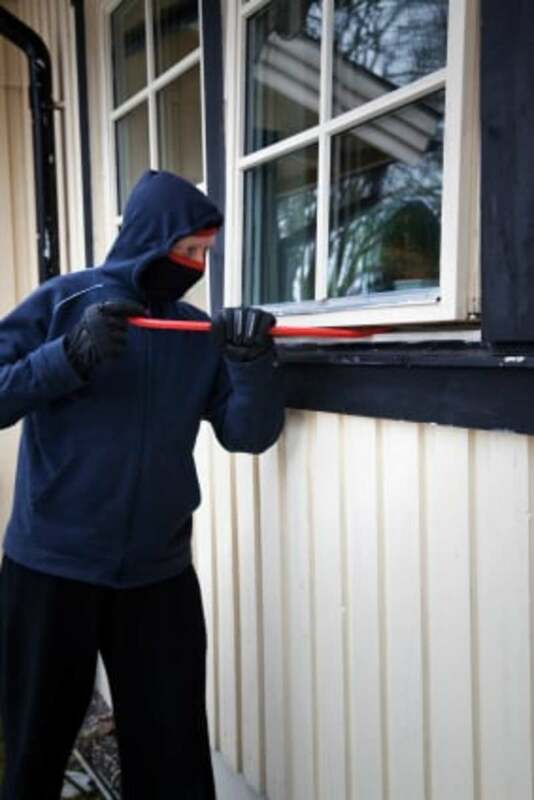 This article will focus on how you can make your home less attractive to thieves and help defend your home against their attempts. This author assumes no liability for your actions or changes, nor does she promise that these implementations will ward off all theft. For professional advice, call your local police station and request a home inspection. There are dozens of home security companies that can make sure that your home is locked down tight with motion detectors and surveillance cameras. These companies can be very expensive and might not be an option for renters. Keep in mind that they will generally have installation fees, as well as a monthly subscription. 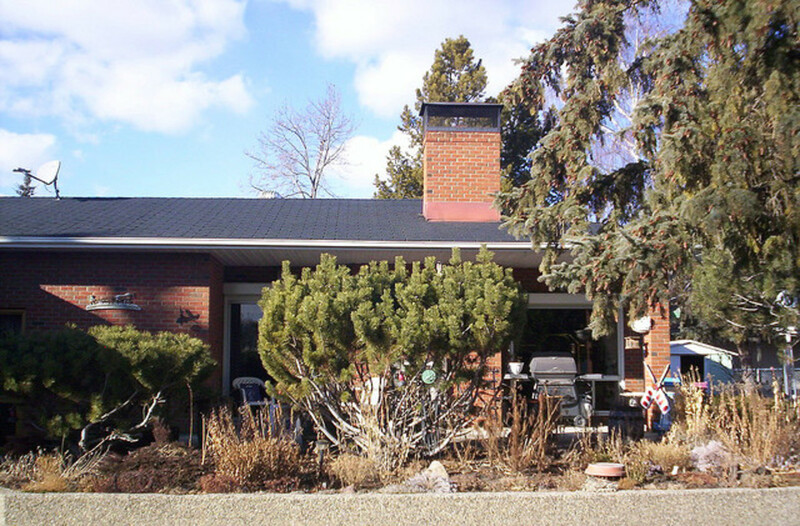 If a security company is not an option, here are some tips for securing down your home. Even a couple of cheap or free improvements can make a huge difference. Burglars want the path of least resistance. They want a high return and low risk. Think of it as shopping. They drive down the street, looking for the house with the lowest amount of security features and the seemingly highest payout. On your block are two homes with visible big screen TV's in the front living room, do you think the burglar is going to target the house that has bright lights, a large guard dog, and a security camera? Or, is he going to target the house that hasn't been mowed in months, is dark, and the mail had piled up on the porch? You should ask yourself, "Does my house look like a good return on investment for a thief?" The thief's choice of one house over another could come down to something as simple as a Mercedes parked in the driveway. To the thief, this screams out that there is probably money inside the house too. If the owners keep $100,000 in their driveway, there's bound to be plenty of goodies inside the house. 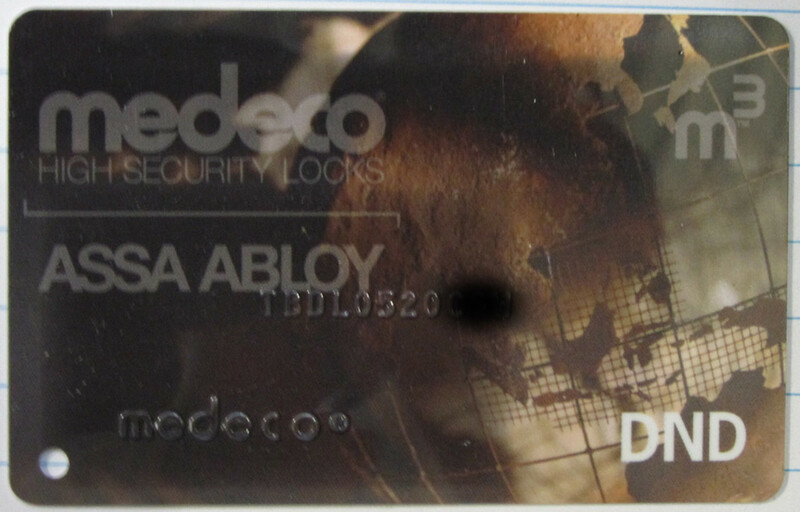 Whether or not the thief attempts a robbery will then come down to if his expected payout is worth attempting to overcome the security features you have placed. Every neighborhood is different, and what works in keeping away thieves in one, may not work in another. Often the same gangs or players are involved, creating patterns of crime that law enforcement keeps track of. If you have any concerns or you see any suspicious activity, report it immediately to your local law enforcement office. Often they will have their own tips for securing your property. 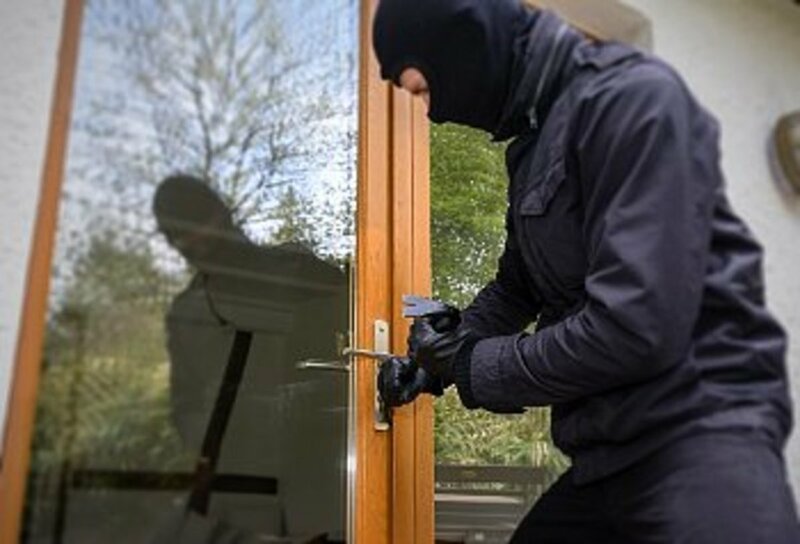 Burglars are becoming increasingly sophisticated and have learned how to hack their way into houses where the owner implemented some visible security features. Your local police department is the best resource for staying one step ahead of the game. Different neighborhoods also attract different types of thieves. The junkie looking for his next fix is going to act differently than the Jewel thief in Beverly Hills. One might smash a window of a vacant looking house and just climb inside, while the other might try to use a device to open your electric garage door. Going back to the idea that thieves want the path of least resistance, don't let your house stand out from the rest of your block. Is your fence in worse shape than your neighbor's? Is your house the fanciest on the block? 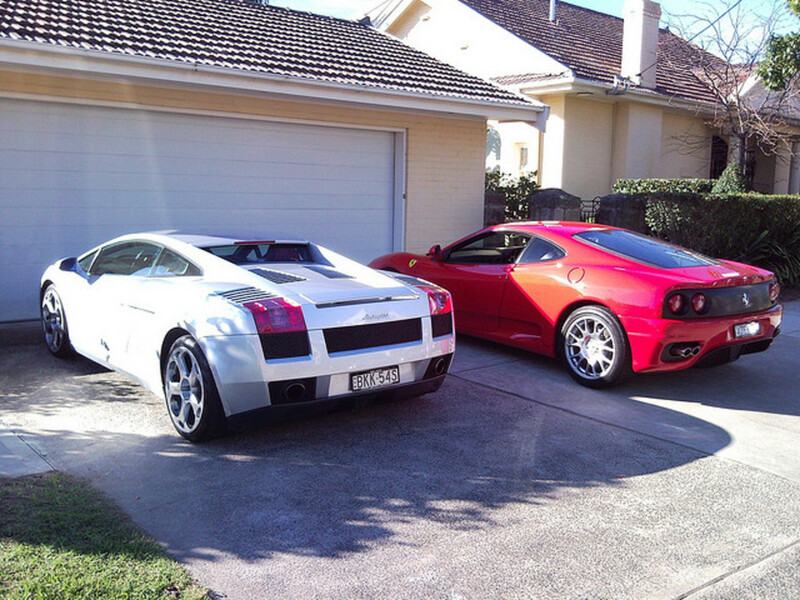 Do you live in a low income neighborhood, but have expensive cars and possessions? Does your house look dark and unoccupied every night because you work the graveyard shift? These are all things to consider in your game plan against crime. Remember that old joke about swimming with sharks? If you swim in a group of people, you don't have to out swim the shark, you just can't be the slowest. Now applied to your home, just don't let your house look like the weakest link in the neighborhood. Blending in is a huge asset when it comes to home security. Fake it, if you can't make it! If you are searching for a new home, keep in mind that there are several tactical positions you might want to look for. For one, a house backing up to a trail, a canal, a school, a park, or any other public space is way more likely to get burglarized. Bored school kids looking for something to do might raise crime for that location. A public space allows a thief to observe your house from a public place where he is allowed to be and most people won't notice someone loitering the area. Fringe communities tend to congregate by rivers, warehouses, and open spaces. Often these individuals creep under the eyes of the law and are hard to track even if they are caught on camera. In the city or suburbs, your house will usually have other houses on three sides, giving the thief fewer entrance points. If your house backs up to a public space, you now have a tactically weak spot. Before purchasing a home, read as many reports as you can about the statistical crime in the area and what items are being targeted. It might even be helpful to dig up information on the house itself and its crime history. Did you know that the types of foliage and landscaping you have can help prevent or attract thieves to your home? Do you have any hefty tree branches that would allow a fence to be jumped easier or the second story of your house to be accessed? Often people feel safer on their second floor and tend to be less stringent about locking their upstairs windows. On hot days, a screened window is the perfect entrance for a thief. Trim back any branches that give a thief an upper hand. Thick bushes near doorways and windows give thieves the perfect hiding place from neighborhood watches and concerned neighbors. If they can pry a window from behind a bush, you are making their job way too easy. Planting anything sharp, thorny, spiky, or itchy below your windows can be a huge deterrent. 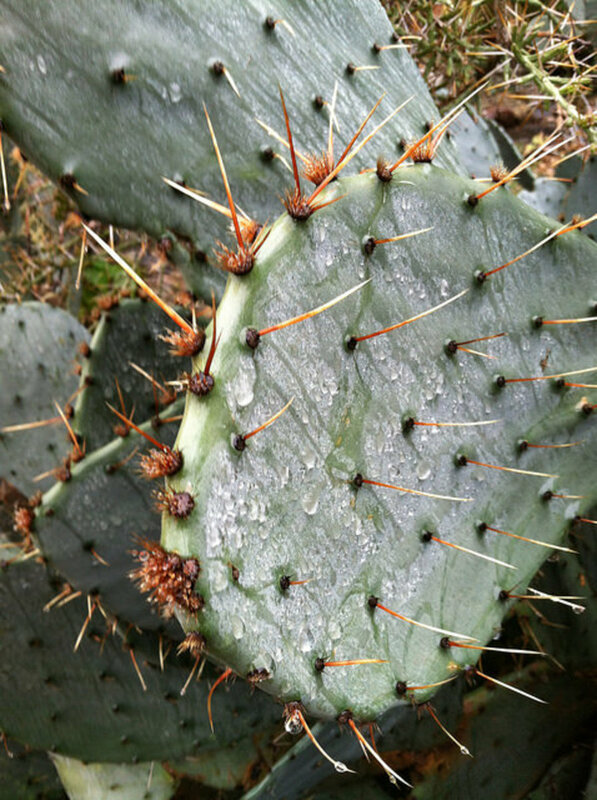 Does a thief really want to brave your cactus garden, in the dark? Probably not. Thieves love breaking into homes of out-of-towners and bank owned properties. By keeping up with the landscaping you are projecting to the world, "This house is occupied." Most thieves are in it for the money and don't want to have to deal with angry and violent landowners. For one, they are concerned about their personal safety, and more importantly, are concerned with getting caught or being identified. Dogs are excellent theft deterrents. Even a small dog may help keep the burglars at bay because their bark can alert the neighbors or tenants that something is amiss. A good watch dog can bark to warn you that there is an unusual person on your property, as well as help defend you against any intruders. 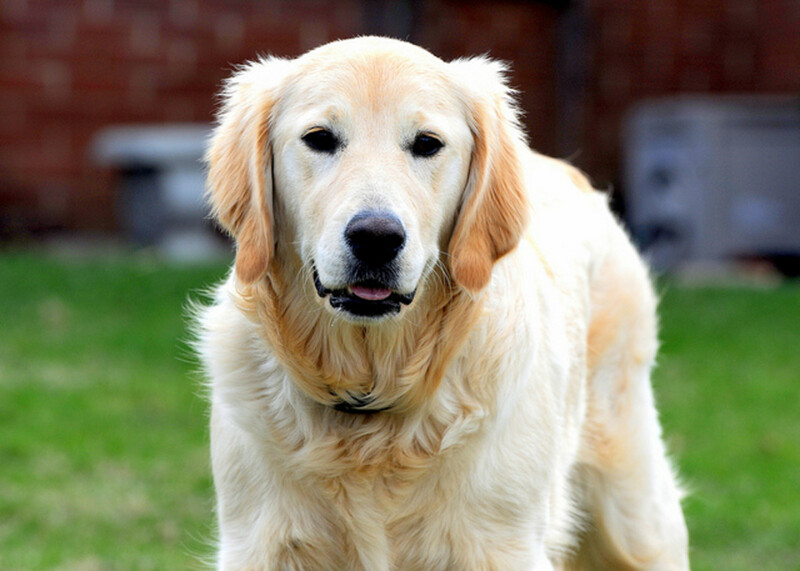 If you had neighbor with a usually quiet golden retriever, who all of the sudden starts growling and barking bloody murder, you might call your neighbor or the police to see what's up. Hopefully, your neighbors will do the same for you, if your dog starts going ballistic at a probable threat. If you don't have a dog, putting up a BEWARE OF DOG sign can keep a thief from picking your house when he is shopping for his next target. It's a $2 fix that might save your house from a burglar. You have two choices that can help protect your property: A visible camera and an invisible one. Surveillance cameras are a cheap and highly effective way to keep away the boogie man. Remember, career thieves, especially, don't want to be caught or identified, so a visible security system can do wonders. Even if you can't afford a full on security system, a fake or cheap surveillance camera is better than nothing. Be sure to capture every entry point and the pathways leading up to your home. If it is legal, in your area, getting a shot of the sidewalk and street view will help warn you of intruders, help you decide who is about to come to your door, and may help record the license plate of the thief's vehicle. Setting up invisible nanny cams can help identify even the sneakiest thieves who let down their guard once they are in a home. They may not think they are being watched, which puts the ball in your court. ADT offers remote viewing of your security feeds onto your smart phone. It's a great way to check on your family while you are away, and keep an eye on your house while on vacation. Through their services, you can even disarm and arm your alarm, as well as turn on and off your lights. One of the best things you can do to keep your neighborhood safe is to get to know your neighbors. Let them know that you will keep an eye out for suspicious activity and they will most likely return the favor. If you've created a trusted bond with a close neighbor, letting them know when you are going on vacation will help them watch out for any unwanted house guests. Also, knowing who your neighbors are helps you spot loiterers who don't belong there. Most burglaries happen between 10 am and 3 pm when the family is assumed to be out working, going to school or shopping. Since those are daylight hours, the thief must operate in plain sight. There are several tactics they use to slip in and out of someone's house undetected. Burglars love to figure out your routines so they are sure to find your house unoccupied for a large block of time. They may drive by your house or pretend to go for a walk to see what time you leave for work, when the kids have a baseball game, or when you go off to yoga class. If every Monday you leave for a three hour pottery making class, they know that they will have plenty of time to pick apart every inch of your house. A nicely dressed young man might come to your house and want to demonstrate some wickedly cool vacuum cleaner. He may seem genuine and work as an affiliate for a legitimate company. He may make your carpets cleaner than they have ever been and he leaves with a polite, "thank you" and his card for ordering the vacuum. He may also have left with something else—secretly he was asking about your habits, checking out your big screen, and creating a mental map of your house and all of the weak entry points. Beware that thieves may dress as solicitors so that they can look into your house while you are talking to them at the door. Don't discount that these solicitors can be violent and attempt a robbery on the spot. However, most will solicit as part of their research. An Inexpensive Way to Monitor Your Home. Be the First to Know Who's at the Door! Beware that an "inspector" may show up to the house claiming that they were sent there by your landlord, the water company, or the energy company. A business card and a quick trip to a uniform shop can make anyone look like an electrician, a pool guy, or the cable company. If you are told that you have faulty wiring that the energy company is concerned about or a leak, your best bet is to not let them in until you've called the customer service hotline for the company they are claiming to be from. If a thief dresses up as the pool guy, your neighbors may not even notice. If he has a truck and seems to be carrying buckets of chemicals, he might look legit to the rest of the neighborhood. That's where a sneaky little camera or a sensor installed on your back gate can be the difference between a successful steal and an unsuccessful one. Never give your house key to the guy at the car wash or to your mechanic. When you hand them your keys, be sure to only give them the key to your car. Be sure to keep all keys to your house, safe, and your garage door opener. While your car is being worked on, the key can be duplicated. If you live in a hot climate and sleep with your windows open at night, that is a huge risk. Crack open your window and use a window block—an adjustable rod that secure the window from being slid farther open. It is also a great addition to your window for when you are not at home. Be Careful of What You Post Online. Posting pictures of your birthday present—a $20,000 diamond bracelet, or of your gun collection, your jewelry collection, or baseball collection can give thieves something to drool over and target you for. They know what you have so they know the payout might be worth the risk. I've seen collectors and preppers post their entire coin collection online to show off—stupid, stupid, stupid! It's easier than ever to find someone's address. Most modern cameras store the GPS information into the picture's file. With a little software a thief can look at a picture you've posted online and figure out where the picture was taken. Don't Live-Post Your Vacation on Facebook. You post a picture of you and your husband smooching under the Eiffel Tower. Your best friend likes your photo and asks how long you will be there. An innocent question to see if you have time to check out some destinations she recommends. Boom! Now the thief knows you are gone for three weeks and has tons of time to steal your whole house, down to the copper wiring. Don't leave your valuables in plain site. It's never a good idea to keep your bike on the porch or leave your jewelry box near your bedroom window. If you can't afford a safe, hide your expensive items in places the thieves won't look. The professionals might find them, but the junkie down the street might not think to find your emergency cash in a box of cheerios. Get a Safe. A safe that is bolted to the wall or ground is the best option for securing your valuables. Given the right tools and enough time, most safes can eventually be broken into. However, the common burglary takes 8 to 10 minutes, so make it hard enough that an amateur can't crack it or walk off with it in a reasonable amount of time. Keep important financial and personal documents in there as well. Call the police. If something doesn't feel right, you feel unsafe, or you see suspicious behavior, call 911. It's better to have a false alarm than to be a victim of a crime. Get Insurance. Get a renters or homeowners policy that includes theft and damage caused by theft. If you come home from vacation to see that your glass door has been busted, your soft furniture has been ripped open, and your house has been trashed, the insurance company may help pay to repair the damage and replace broken items. Create a video and written inventory of everything in your house so the insurance company knows what you needs to be replaced. You may need it to prove the dollar amount for everything you've lost. Do you think that your house is secure? Yes. I've already taken some of these measures. No, I need to make some changes. Did you learn more about securing your home and about how criminals work? Have you ever had your home broken into or your property stolen? Great tips! Thanks for sharing, it does make me think of a couple of added security measures I might add. Thanks Genna, I'm glad to hear that you are well protected. Bill, not only are they man's best friend, they are a lovable workout partner and suspicious person alarm. Plus, you see to know your neighborhood and neighbors quite well. Iris, right on! That's the way it should be. I'm so glad you mentioned neighbors. We are lucky to have befriended several neighbors. If we see something amiss, we call them. If we notice their car hasn't moved in days, we reach out. Being engaged with one's surroundings is an excellent defense. Thanks Chris. I agree, a dog is one of the best tools of defense. They can smell and hear someone coming when you are asleep or unaware. It's nice to have an extra set of eyes and ears. Thanks for stopping by. Jennifer, Good, solid article. Very thorough. Thanks for all the tips and helpful information. A good dog seems like one very helpful element to this plan.